Quad point felting needles work best for large, flat areas. Remember, if they become difficult to pierce into your project, switch to a double or single point. With a short, sturdy blade, this fine 40 gauge star blade needle is perfect for beginner needle felters. It is also wonderful if you needle felt over wire (or even rocks, sticks etc.) or if you are needle felting through fabric. 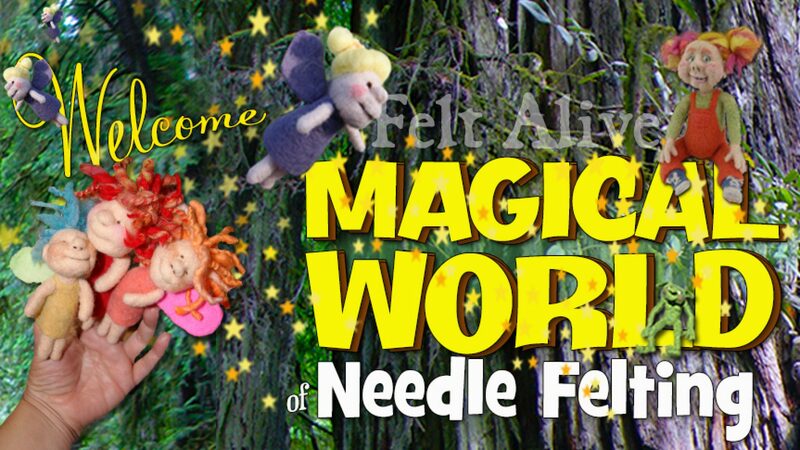 If you tend to break needles while felting, THIS is the felting needle for you! This needle is great for all-purpose felting. It felts much like our trusty yellow 40t but the shorter blade makes it much sturdier. If you are going to show kids how to needle felt, this is the one I recommend they start with.